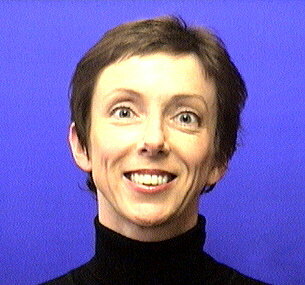 Doune Macdonald is a professor and Head of the School of Human Movement Studies. Doune completed her undergraduate degree in Human Movement Studies at The University of Queensland before teaching health and physical education in primary and secondary schools. Professor Macdonald returned to UQ for her honours degree, obtained her PhD through Deakin University and rejoined the School in 1990. In 1998 she won an Australian Award for University Teaching. Professor Macdonald serves on the editorial boards of Teaching Education, Sport, Education and Society, and is Vice-President of AIESEP. Research interests The past decade has brought a number of changes to the field of health and physical education in the school and tertiary sector. Professor Macdonald's research interests have attempted to understand these shifts through the lens of professional socialisation, discourse analysis and identity construction using predominantly qualitative methods. In particular, much of her work has addressed the challenges of curriculum reform and its impact upon teachers and teaching. More recently Professor Macdonald's interests have moved outside the formal education sphere to broader questions of physical activity and young people with two funded projects looking at at-risk young people and Aboriginal and Torres Strait Islanders. Currently the Australian Research Council, the National Health and Medical Research Council, Queensland Health and the Department of Education, Training and Youth Affairs fund some of her research projects.